Awards for Game of Thrones, The People v. O.J. Simpson, and Julia Louis-Dreyfus highlighted this year’s honors. 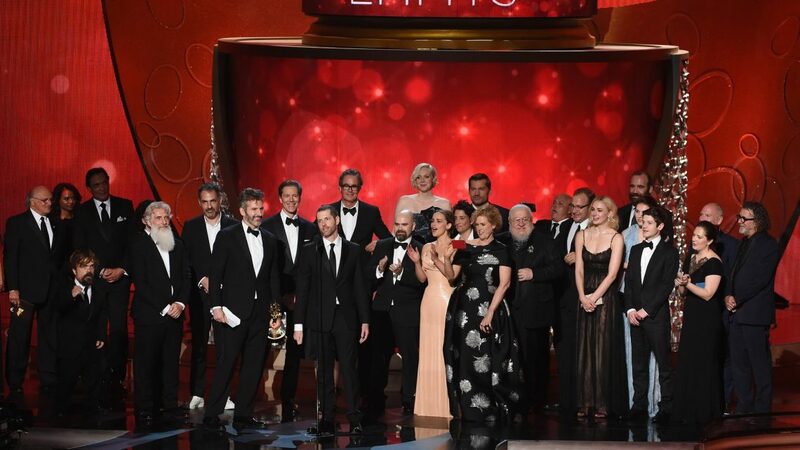 HBO’s fantasy hit Game of Thrones dominated the 68th annual Emmy Awards, as the series won a whopping 12 awards, including best drama. It was rivalled only by newcomer The People v. O.J. Simpson: American Crime Story which won five prizes, including best limited series. 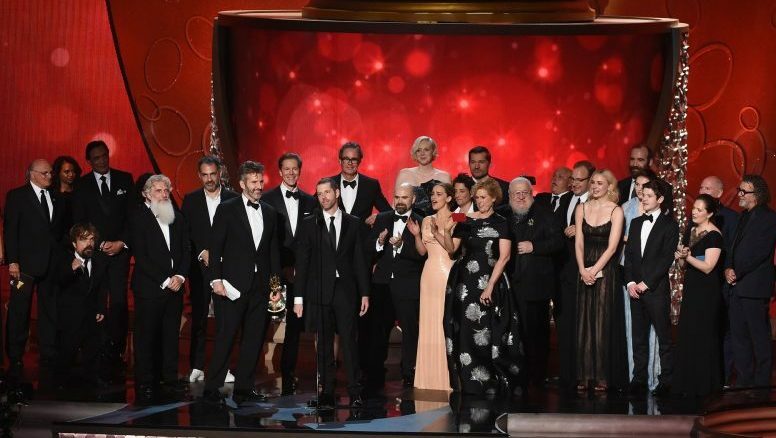 Emmy Awards took place Sunday night, honouring the best TV from the year 2015. 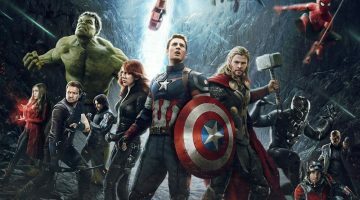 “Game of Thrones,” entered Emmy Awards 2016 with a leading 23 nominations, won a total of 12 Emmys, including for directing and writing. FX’s The People v. O.J. Simpson – a 10-hour dramatisation of the former American football star’s 1995 double murder trial – went into the evening with 13 nominations, and hauled in five awards. For the second year in a row Julia Louis-Dreyfus won two Emmys for Outstanding Lead Actress in a Comedy Series, for her role as the vainglorious US president Selina Meyer in Veep, as well as the best producer award for a comedy series. 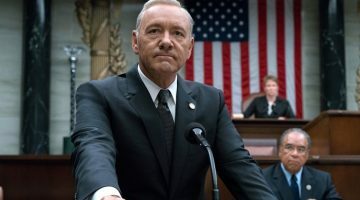 Veep, which has been nominated 42 times at the Emmys, won the best comedy category. 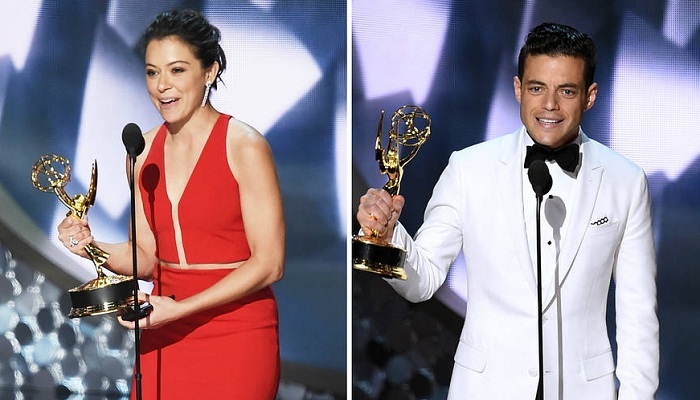 Rami Malek took home a surprise win for lead actor in a drama, for his performance as Elliot Alderson, a paranoid, socially awkward hacker in Mr Robot, while Tatiana Maslany won in the best actress category for Orphan Black. Sarah Paulson has won her first Emmy, for outstanding lead actress in a limited series or movie. After the win, Sarah Paulson told press that she felt a tremendous sense of “self-inflicted responsibility” in taking on the role. The American Crime Story actress has been nominated five years in a row, but never won—until now. BBC One’s Sherlock was named best made for TV movie for its special episode The Abominable Bride.